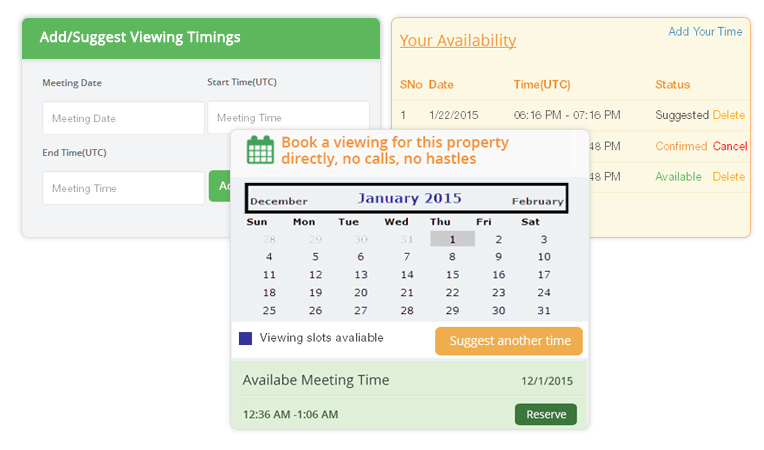 We wanted to make the scheduling of viewing meetings as easy and simple as possible. This is why every property listing on Houser has a viewing calendar where the seller or estate agent has provided available time slots for interested parties. You can either book a slot that suits you or suggest another time which is then forwarded to the seller or estate agent for confirmation. This way all parties involved in the process save time and can set up meetings with a few clicks. Scheduling Property Viewing Appointments was never easier! Instantly make your available time slots visible to all interested buyers. One-click reservation of available time slots provided by sellers. Flexible appointment manager allowing you to cancel and suggest new times.